We recommend visiting from 8 am until 8 pm, after that time we lock our doors and most residents are asleep. But you are welcome to visit 24 hours a day. Please call in advance for after-hours visits to ensure access. We strive to create social programs and individualized activities to match the capabilities and needs of each patient. This also has a powerful impact on the healing process of those patients involved in some type of rehabilitation. Specific activities include active resident councils, musical performances, current events update- reading the newspaper, singing exercises, fitness activities, stretching exercises, religious meetings, outside entertainment, games, trivia, history, and volunteer involvement. We also strongly encourage families to participate with the residents in various activities. What role does Social Services play at Tri-State Village Nursing and Rehabilitation Center? Should you wish to have Tri-State Village wash your laundry please notify the front office upon your admission. Subsequently, if your family/caregiver is going to take care of your laundry at home, please let the nursing station closest to you know your plans. This way, the staff can place a sign on your closet door notifying our housekeeping staff to leave your clothing for the family to pick up. We request that your family provide a hamper for your clothes and pick it up twice a week. For the safety and welfare of all patients and staff, Tri-State Village Nursing and Rehabilitation Center is a non-smoking facility. There are designated smoking areas in the outdoor areas. We have beauticians available at our beauty/barber salon on Mondays and Wednesdays. For our short-term guests, there are flat-screen televisions with cable in the rooms. We also offer televisions in the rooms for our other residents with basic television service. Will my loved one’s room have a telephone? Telephones are in the short-term stay rooms. For our other residents, there is telephone access or we are happy in helping to set up a land-line with the local telephone company. For those with public aid, they may provide you with a cell phone during your stay. 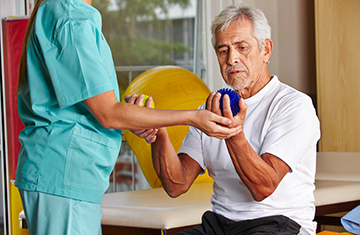 We have individualized activities planned that match the capabilities and needs of our residents. We hold frequent resident and family councils. Scheduled activities may include: “live entertainment,” music, fitness activities, religious meetings, outside entertainment, games, gardening, field trips/outings, and volunteer involvement. Our Dietitian and Food Service Director also monitor your nutritional status using monthly weights, daily intake records, and relevant lab data. The results of these assessments are discussed at your care conferences. Our primary concern is that you feel comfortable here at Tri-State Village Nursing and Rehabilitation and that your needs are being met. You should feel secure and at ease with our staff, particularly those providing your direct care. If you have any concerns or praise for our staff, please feel free to contact our social services department. They will be able to address any apprehensions you may have regarding any particular staff members. Tri-State Village Nursing and Rehabilitation Center employs a full-time Business Office Manager for all financial and billing concerns. Should you have any questions regarding these matters please make an appointment to see our Business Office Manager by contacting the front desk/receptionist.